Lying at the city center, the Sky Bar 360 is at the top of one of the highest skyscrapers in Da Nang. The Bar is a night club where you can find all of the noisiest entertainments such as dancing, hard rock music, cage dancers, etc. From the sky bar 360 you can have awesome view to the city and the Han river with the amazing design bridges shining in the sunset and night. The Bar also have special music events with the participation of many famous singer everyweek. * Minus point: The food is quite normal and general. 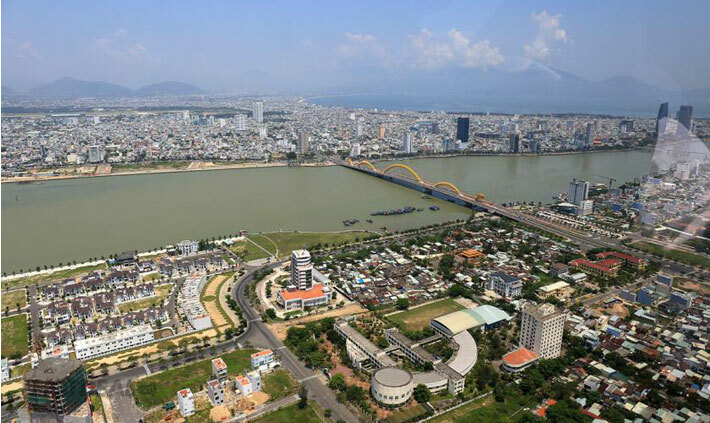 As one of the top 10 biggest Wheels of the world, Sun Wheel is a unmissable place for anybody who want to take a look at Da Nang city from above. The moving cycle of Sun Wheel is around 45 minutes so you can have plenty of time to experience the city from many angles and even looking at the Asia Park, a very elegance park in my opinion, which was designed by Bill Bensley – top 5 world architects. If the city’s light bored you, À La Carte coffee shop will give you the best look at the beautiful beach of Da Nang. The top bar provide elegance place with swimming pool, wooden decoration and nice coffee for you to relax in the middle of peaceful blue color of sky and ocean. 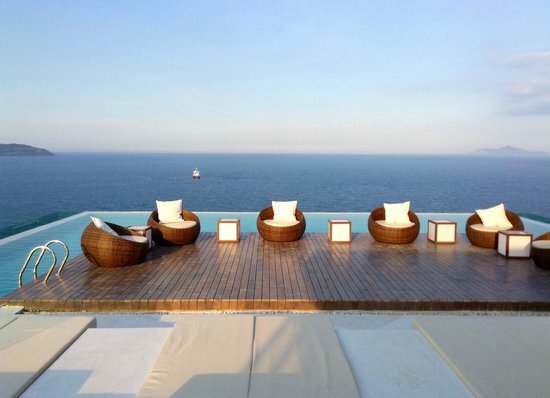 The special infinity swimming pool also give you the feeling of diving in the sky at the 24th floor of A La Carte hotel. Best time: Morning & sunny days or camping at night. Price: up to the travel means, 600 000 vnd for 4h taxi around Son Tra mountain. The old helipad is an old U.S.’s army place for helicopter at Son Tra mountain, a quite secret place even with local people, you may need a local friend who know this place for guiding you around the mountain. The road to this place is quite big enough for 7 seats taxi but you shouldn’t drive a motorbike without experience and you can be asked by the soldiers around this place as it is inside the army’s area, but don’t worry, it’s normal and nothing is danger, it’s even safer as you are under the watching of them. Yep, from helicopter, why not ? 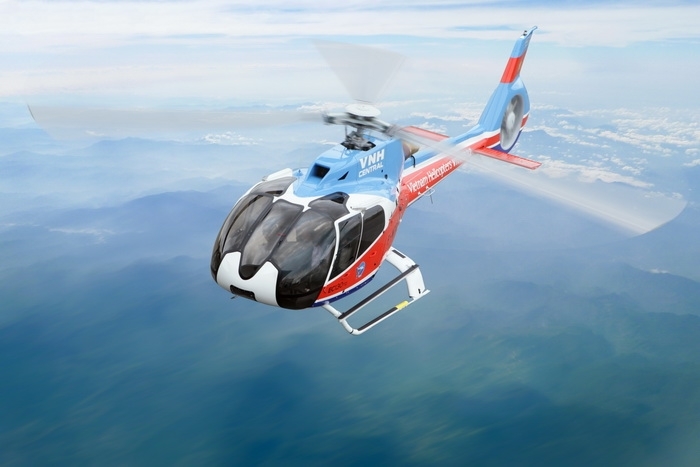 Da Nang have a helicopter tour for anyone want to take a look at the city from 500m above in the cooperation with Uber, yes, Uber is provide this service at Da Nang. From the Helicopter you can take a wider look at Da Nang and other area to contemplate the unique combination of penisula, beach, city and mountain.